For the first time in exactly two years, two members of tennis’ prestigious “Big 4” will collide in a Grand Slam final. Not since the 2017 Australian Open championship match between Roger Federer and Rafael have two all-time greats battled for one of tennis’ biggest trophies. That showdown certainly did not disappoint, and this 2019 Aussie Open title tilt has all the ingredients to develop into a historic contest. It’s Nadal vs. Novak Djokovic on Sunday night for the 53rd time in their careers, 15th time at a major, seventh time in a major final, and 26th time on hard courts. Djokovic is leading the head-to-head series 27-25–including 18-7 on hards–with an 8-2 advantage in their last 10 matchups dating back to the start of 2015. They most recently squared off in the 2018 Wimbledon semis, with Djokovic winning arguably the best match of the year 6-4, 3-6, 7-6(9), 3-6, 10-8. Their only previous AO meeting resulted in a similar scoreline, as the Serb triumphed 5-7, 6-4, 6-2, 6-7(5), 7-5 to lift the trophy. Current form suggests another blockbuster battle is in the works, as the top two players on the planet have been by far the two best throughout this Melbourne fortnight. Always one day ahead in the bottom half of the draw, Nadal was first to book his place in the final with straight-set routs of James Duckworth, Matthew Ebden, Alex de Minaur, Tomas Berdych, Frances Tiafoe, and Stefanos Tsitsipas. Only Berdych has pushed the Spaniard to tiebreaker (after getting double-breadsticked in the first two sets) and other than that no one since Duckworth has even extended a set to 5-5. 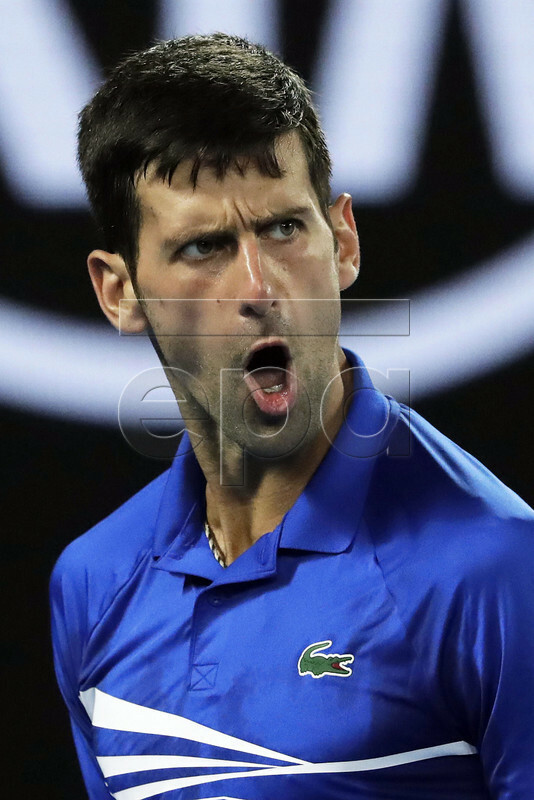 Djokovic was not in quite the same ruthless form in the early stages of the event, but he is coming off a 6-0, 6-2, 6-2 beatdown of Lucas Pouille in the second semifinal on Friday night. That was preceded by a virtual walkover against Kei Nishikori, who retired while trailing 6-1, 6-4–which means a well-rested world No. 1 has dropped only six games over his past two matches, an especially ridiculous total for a major QF and SF. The top seed has been in that zone more often than not against Nadal of late and he will have to be once again in order to maintain his recent head-to-head dominance. “He has played impressively well throughout the entire tournament,” Djokovic praised. “He hasn’t dropped a set. He looked as good as ever on the hard court throughout these few weeks. I haven’t played bad myself (the) last couple matches. I think that this finals comes at the right time for both of us. I’m sure we’re going to have a blast on the court. We can promise one thing, and that’s knowing both of us that we’re going to give absolutely everything out on the court. I think people will enjoy it…. It’s going to be special alright, and almost certainly a competitive one. But who has the edge? Picking against Djokovic is tough, as he is already a six-time champion of the AO compared to Nadal’s lone Aussie triumph in 2009. The 14-time slam champ has not lost to Nadal on anything other than clay since the 2013 U.S. Open final; that’s an almost hard-to-believe statistic–and one that can’t be overlooked. Lovey’s Pick. RAFA In 5.